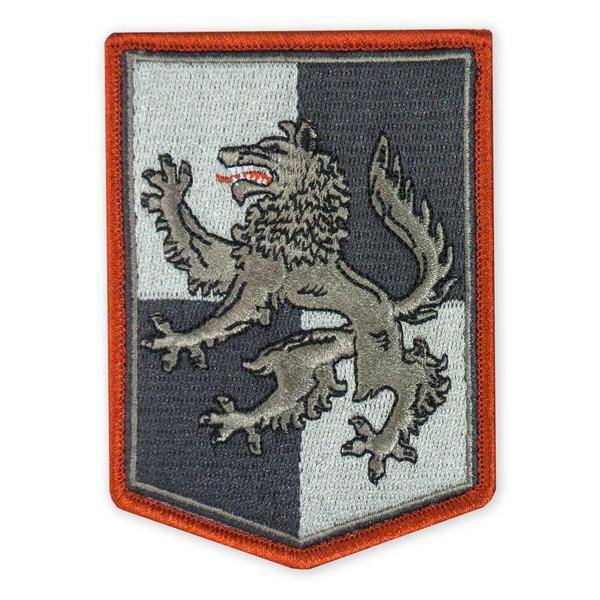 This special morale patch shape featuring a Wolfe is done in the "house banner" style. Something one might have seen at a royal field camp or on the walls of a castle. Symbols, monsters, creatures and beasts, real and imagined have been a part of the tradition found in the design of family crests for thousands of years.